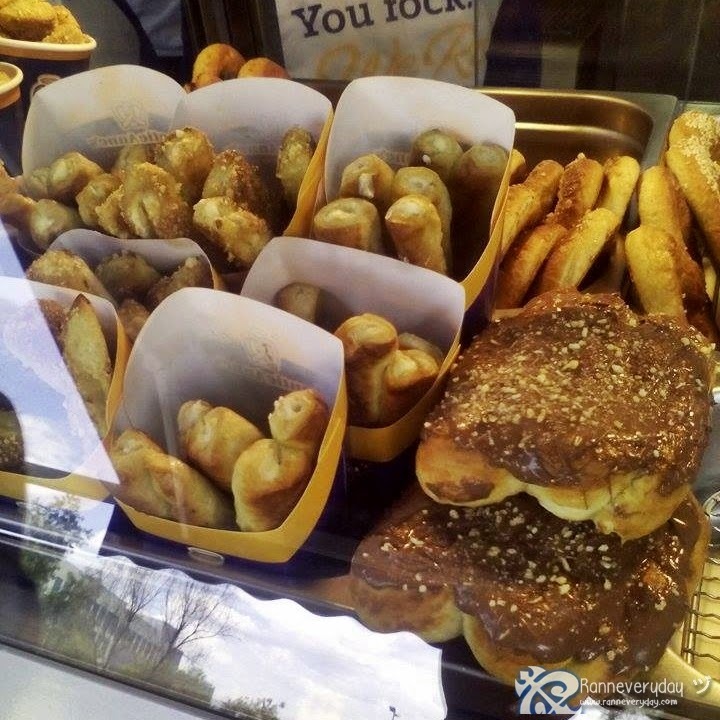 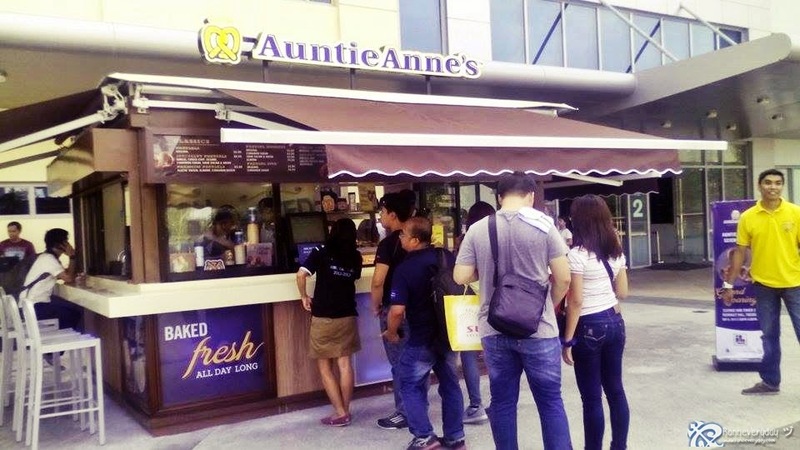 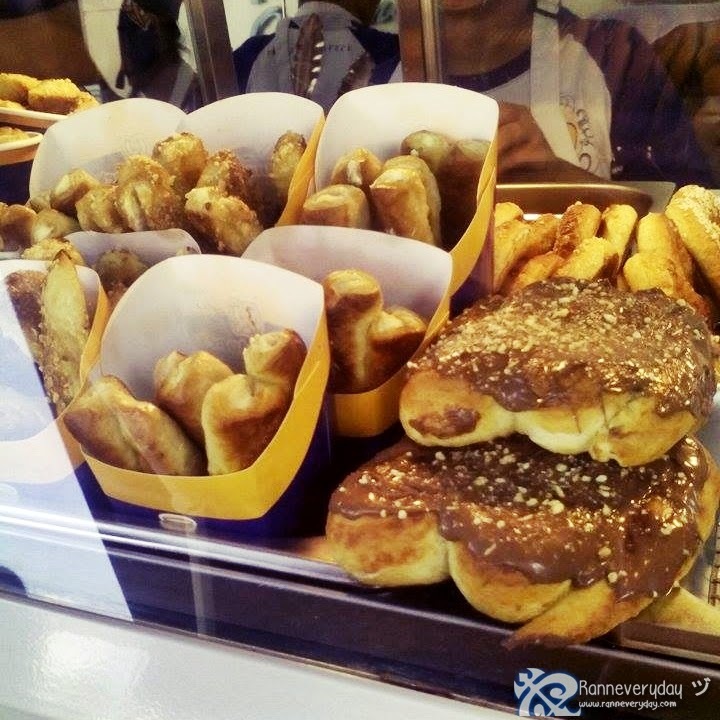 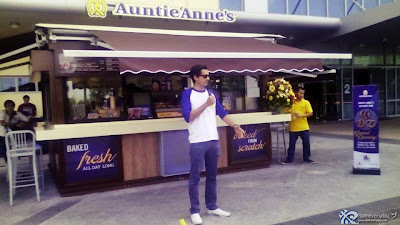 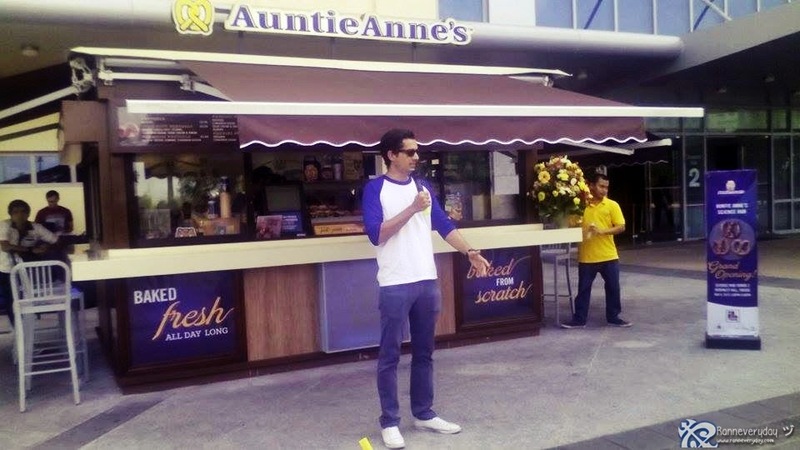 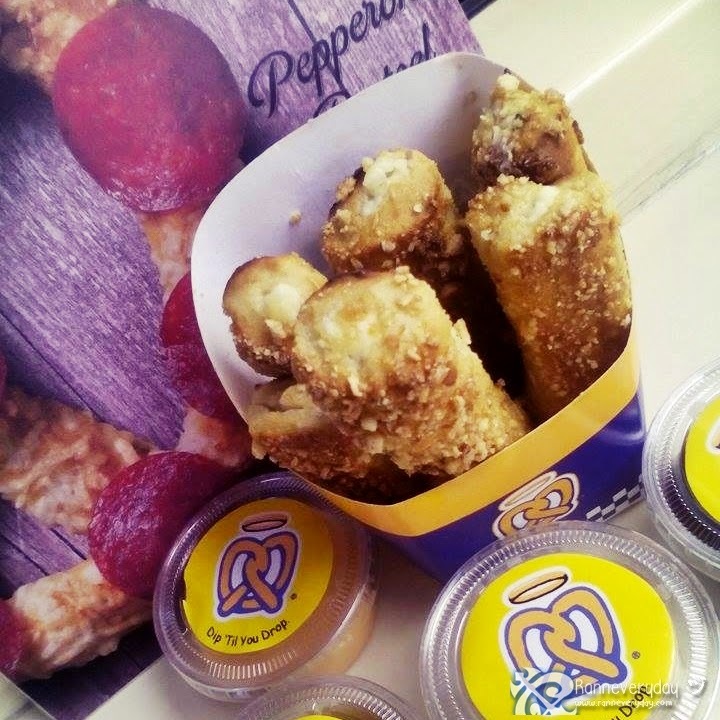 Our all-time favorite pretzel shop - Auntie Anne's - launched their newest concept store. The new branch in Bonifacio Global City Taguig is their 34th branch with a modern-style outdoor concept. 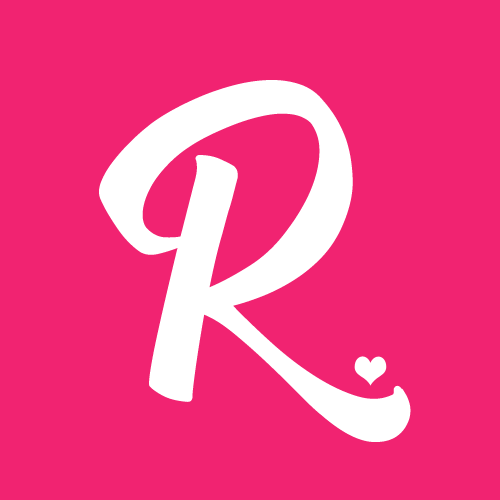 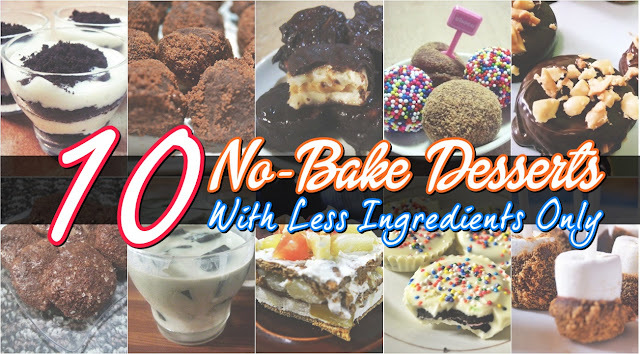 It is located at Tower 2 of McKinley Science Hub, Bonifacio Global City. 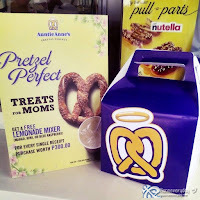 "It is exciting to share Auntie Anne's to everyone and let them experience the perfect Auntie Anne's pretzel snack treat here at McKinley Science Hub," said Mikkel Paris, CHief Operating Officer of Auntie Anne's. 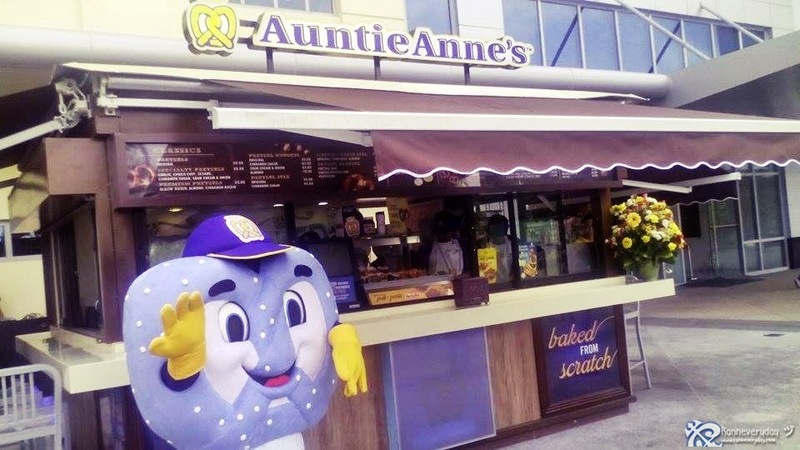 As they launched their newest and first outdoor branch, Auntie Anne's also comes with a new offering in the pretzel line-up. 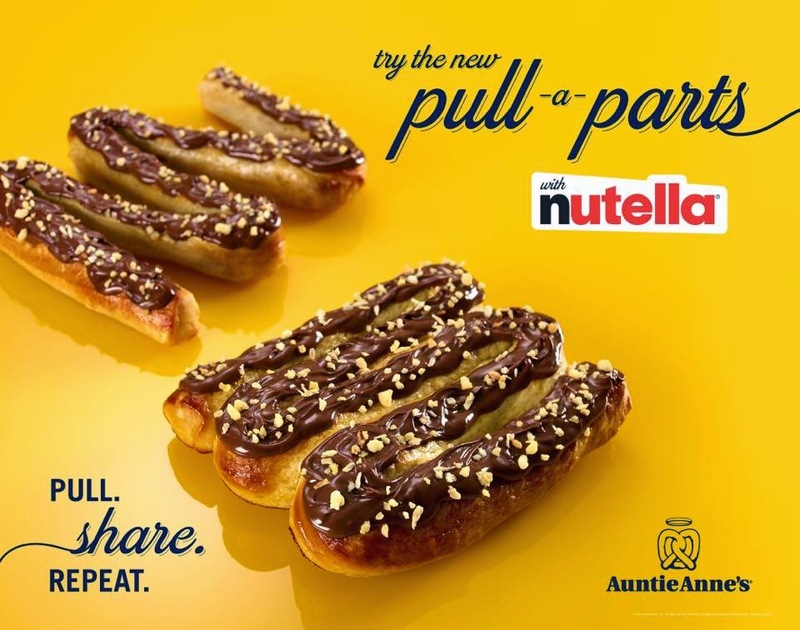 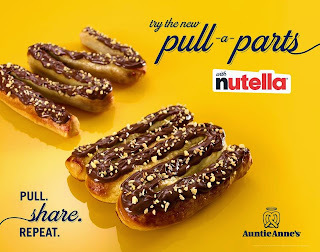 With our favorite hazelnut spread Nutella, Autie Anne's Pull-A-Parts is topped with their signature almond crunch and baked in a unique zig zag shape that makes it easier to tear and share with your special ones. 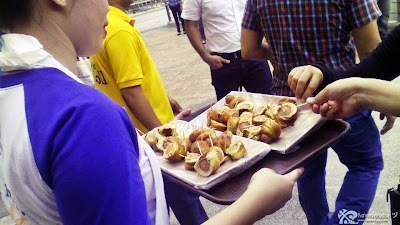 Aside from their new pretzel offering, you can also enjoy their new refreshments. Beat the heat with their refreshing Lemonade Mixers available in 3 flavors: Kiwi, Mango and Blue Raspberry flavors. 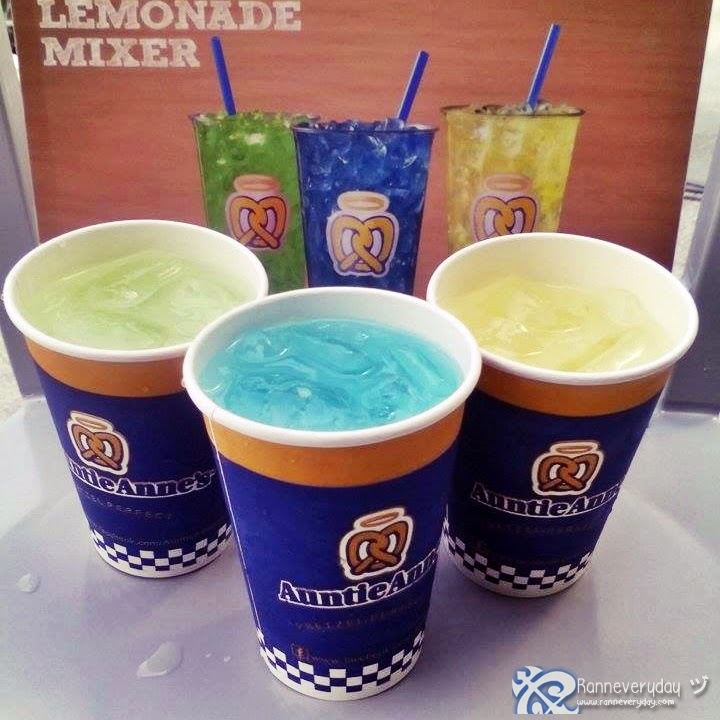 Each cup is made with freshly squeezed lemons making it the perfect thirst quencher, perfect for this summer. 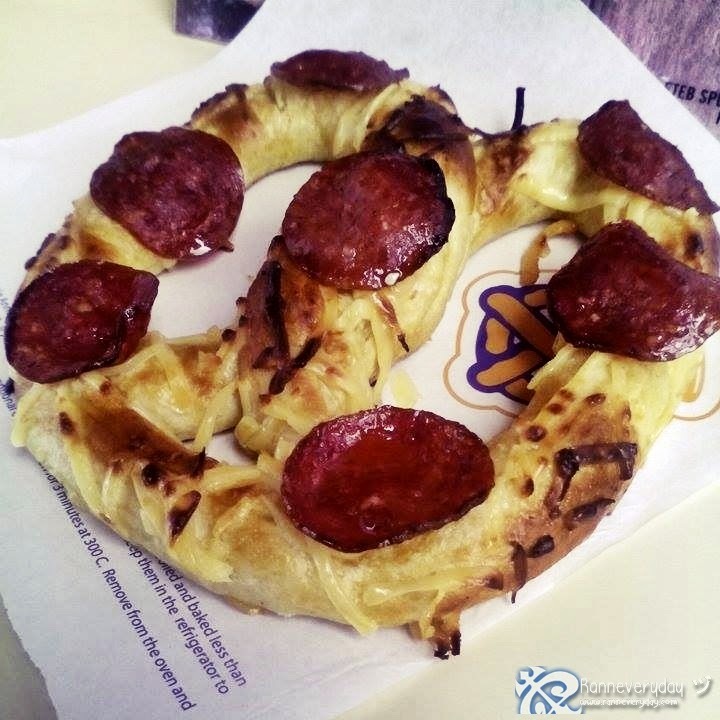 Avail their Pretzel of the month: Pepperoni Pretzel from Php 75.00 to Php 60.00. 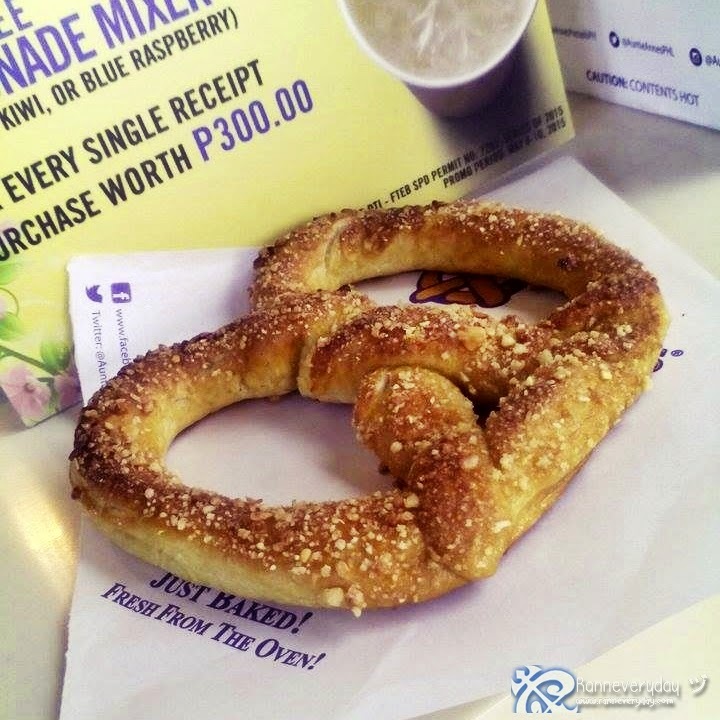 Promo period is until May 1 - 31, 2015. 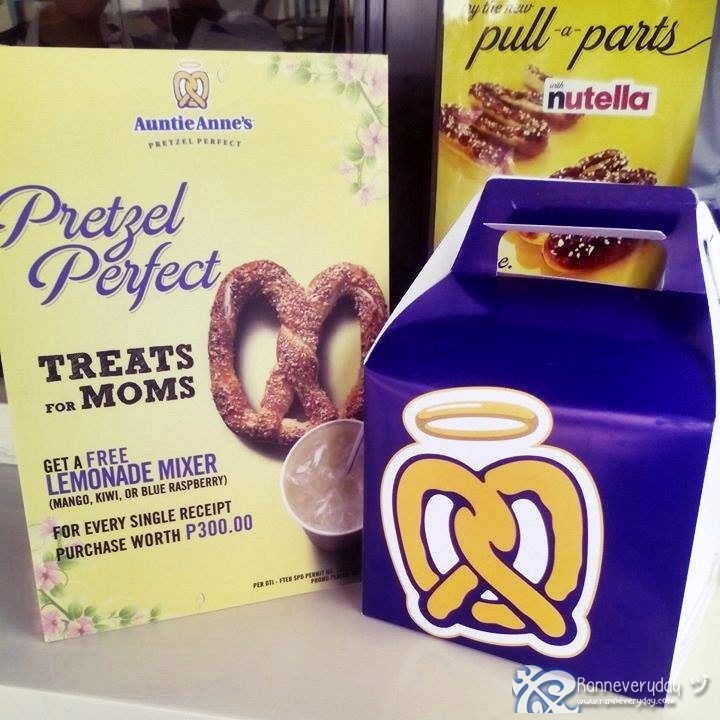 Treat your moms for the upcoming Mother's Day with Auntie Anne's Mother's Day Promo: Get a free refreshing Lemonade Mixer for every P300 single receipt purchase at their stores on Mother's Day weekends.